Looking for new ways to use your feet? Create a fun fabric book to showcase stitched techniques using various presser feet and accessories using your sewing machine. 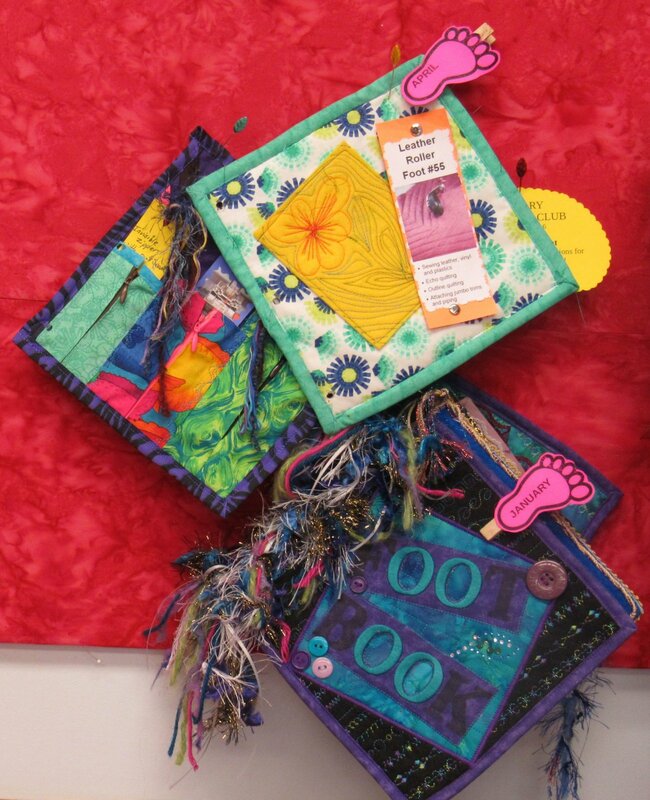 We will combine fabric, buttons paper, cords and yarn while learning how to embellish your projects. You will be able to transfer these fun techniques to your projects at home. Already started on your book last year? We will be covering different feet starting in January.